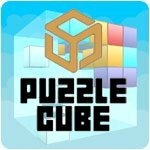 Puzzle Cube Game - Download and Play Free Version! This puzzle game has a 'Easy to Learn - Hard to Master' concept to it. 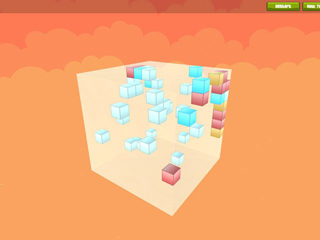 Each level has a number of movable boxes, with different colors, within the playable area. Slide all boxes towards one of the six edges of the playable area to get three or more in a row. Boxes that are on a row will disappear and make it possible to continue. 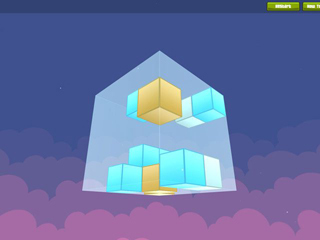 Planning and logical sense is required to make all boxes disappear and thereby clearing the level.